These are European red deer that have been professionally tanned in Hungary. Our Gxx codes denote individual pieces. 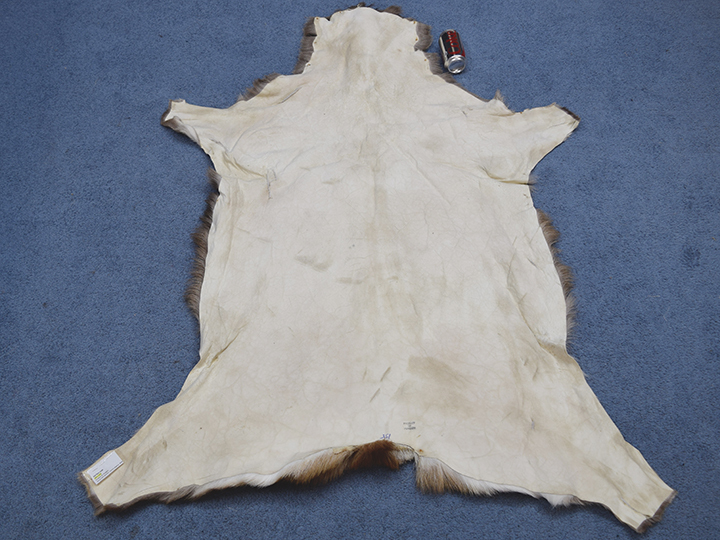 If you would like to order a specific red deer skin, please go to our Gallery to pick the exact one shown. Dave in Canada writes: I got the hide today and it's BEAUTIFUL just perfect for flytying nice long and thick hair. The back of the hide is done nice to very clean no smell it's well worth the money. Thanks again for everything it was very nice doing business with I hope we can do business again. 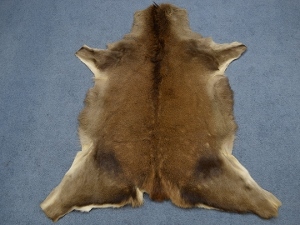 The word will spread about the nice hides you sell.